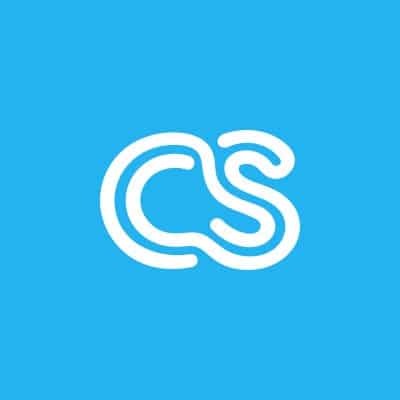 An amazing community of creatives has chosen to work on crowdSPRING. They come from more than 125 countries, speak hundreds of languages, cover all age groups, demographics, experience, religions, etc. They’ve created graphics designs for companies in virtually every country of the world and in most languages spoken on Earth. Recently, we asked them to collaborate on guides for buyers. The first, published last week in our blog, was a guide to help buyers understand what to look for when having a logo designed. The brief can make or break a project. We can’t stress this enough. You could have an interesting project with a great reward but if it doesn’t have a good project brief, many creatives won’t participate. While the creatives are competing with each other, you are competing with other projects. Most creatives have a limited time so they will be picky when choosing which projects to work on. The brief doesn’t have to be formal and comprehensive – just make it clear and make it sound like it’s written by a real person. Be sure to have a descriptive title for your project. Write a detailed brief and tell us all you can about your company, your product, or yourself. Remember, just because you understand your company, that doesn’t mean that every creative reading your brief will. Help us understand how you see your company (or your products). Is your company young, old, modern, fresh, exciting, conservative? Be HONEST. Define the problem and define your goals – creatives essentially are problem solvers. Being creative is not something that magically happens—it’s a process. If you provide better details — you’ll generally receive better solutions to your problem. You can download a template that will help you prepare an effective project brief when you post your project (the link is immediately below the project description box). Click here to download a copy of the template. Unless you want something very specific, don’t limit the designs by describing specific imagery/concepts in your project brief. crowdSPRING gives you an opportunity to draw on the talents and experiences of thousands of creatives from 125+ countries. While you may have a vision, you could be missing out on many other terrific concepts, one of which may be perfect for you! If you’re set on something specific, consider describing what you want but inviting creatives to submit other ideas. If you’re not getting what you want, you can post feedback and give further direction. Statements like “contemporary, fun, corporate, we are in X industry, deal with X audience” are very useful, but try to avoid statements looking for something very specific – those types of statements typically leave little room for originality. Bored creatives lead to boring design, and we want you to get the absolutely best designs possible. The value you give your project will generally be reflected in the quality and number of entries. The amount of your award(s) is a signal to creatives about how much you value your project and how much you value the work we put in to get you outstanding designs. The value you give the project can be expressed in cash money (but it can also be expressed in feedback and well-written briefs – all those things count). Look to see what awards other buyers have offered for similar projects and if your budget allows, offer amounts you think are fair and reasonable. Adding a second and third award for runner-ups will encourage more work and will give you more choices! Learn from previous projects. You can click the BROWSE link in the header menu and look at prior projects (you can filter and sort to focus on specific types of projects, such as logos or illustrations, for example). Note what you like and don’t like, find creatives who’s work you like and send them a private message inviting them to participate in your project. When sending a private message, tell them which of their works you’ve liked and why – it will help them provide you with outstanding designs in your project. If you want great results, do your best to provide constructive and timely feedback. A creative can’t solve your design problem without feedback. Make every effort to provide detailed feedback to everyone, even the entries you don’t like. You benefit in two ways. First, creatives will iterate and improve their designs to help you find your perfect design. Second, creatives will learn a great deal from your feedback. Remember that while you select one or a couple of winners, the rest of the creatives are not compensated for the work in your project. Yet they work very hard to present you with many design choices. Help them to learn and to get better by giving them constructive feedback whenever possible. If you don’t provide timely feedback, you’re sending a message to the creatives that you don’t value your project or their time. Typically, creatives won’t participate in projects where buyers are not actively providing feedback. Don’t assume you must be nice. Be professional, be constructive, and when appropriate, criticize constructively. If you don’t like the design, make sure you say it. Don’t waste the creatives’ time by giving them false hope. Don’t get caught up in details before they become relevant. When your project is for logo design, for example, do not get caught up in colors – creatives can easily customize colors to your liking within seconds, but a design takes a lot of hard work and brainstorming. Color iterations can be discussed in the post-project wrap-up after you pick the winning design. Focus on the details that are most relevant. Do not throw around scoring like candy. Typically there will be very few “4” ratings and only one or several “5” ratings – generally the eventual winner. That said, make sure that it’s a home-run before you give out 4’s and 5’s, especially early in a project. Make the creatives work HARD for your appreciation and the golden number. Giving high scores early in a project – unless truly merited – will turn creatives away from your project. 1-star = Thanks but I don’t think I like this concept. Please try another one. 2-stars = Needs some major work. Try improving it. 3-stars = Seems to be on the right track. Needs minor improvements. 4-stars = Almost there. Could be a winner. 5-stars = Absolutely great! I love it! When scoring, try to score all entries. Remember that creatives will learn a great deal from your scoring. If you don’t score entries, you’re sending a message to the creatives that you don’t value your project or their time. Typically, creatives won’t participate in projects where buyers are not actively scoring. Don’t assume you must be nice. If you don’t like the design, make sure you score it lower. Don’t waste the creatives’ time by giving them false hope. The committee process (so often a litany of compromises over the final look and feel of a logo or other design) often produces an identity that is as mushy and bland and predictable as made-from-powder mashed potatoes on a cafeteria tray — and is thus not memorable. You’re the buyer. Do not let the creative talk you into their design. YOU are the buyer and only YOU know what YOU want. If you aren’t 110% satisfied with a concept or design, then don’t choose it. And where possible, ask creatives why they’ve designed something in a particular way, why they’ve suggested certain color combinations, etc. You’ve taken the time to write a good creative project brief – ask them to do the same to explain why their design is great! You make the decision — not the faceless crowd, not the current trends, not even your 2-3 most trusted advisors. Listen to the input, absolutely; do your homework, definitely. In the end though, you decide. Take printing costs into consideration, if appropriate. Does the creative understand pre-press work? What resolution do you need for the finished product? If you’re printing offset or screen, or cutting vinyl, a poorly separated file can cost you lots of money/quality in the back-end, unless you planned on printing full color process from the beginning. Something “Web 2.0” that looks flashy needs to work in flat colors if you plan on taking it off the web, unless you want to pay an arm and a leg for printing every time. Also be aware that while they look nice, oversized prints on t-shirts are specialized services that cost more and are harder to locate. A skilled artist can still do flashy illustrative work for print with good separation and a minimum of colors, but notice there won’t be many gradients in those cases. Listen to the advice you receive from creatives and if you’re not sure – ask! Remember that you’ll have an opportunity to tweak your design during project wrap-up. crowdSPRING has specifically built-in a proof step in wrap-up and until you approve the proof, creatives will not be able to provide you with the final deliverables. So focus on the concepts during the project and worry about execution and final tweaks during wrap-up. Don’t worry about having the perfect design at the end of the project or the minutiae of details – you’ll have a chance to address those details and perfect the design during wrap-up. Focus your energies on finding the best concept and then work with the creative to execute the perfect design!